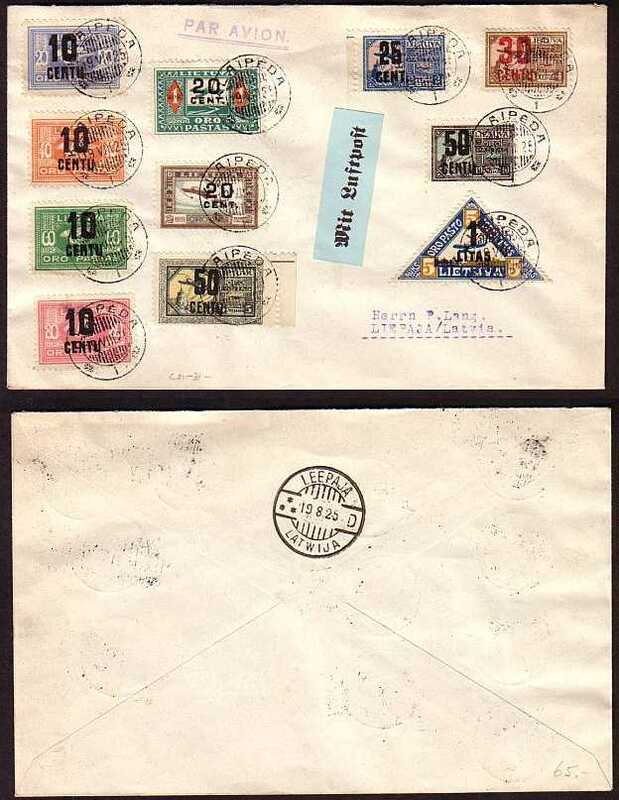 This airmail cover was sent from Klaipeda, Lithuania, to Liepaja, Latvia. Both cities are on the Baltic coast nearly 190 km apart. of the 1922 overprinted airmails (Scott C21-C31). Each stamp was cancelled with its own Klaipeda CDS. The cover bore a German airmail etiquette and was stamped PAR AVION. and receive a Liepaja CDS on the back on the same day. Unabashedly philatelic, this is still an attractive cover.